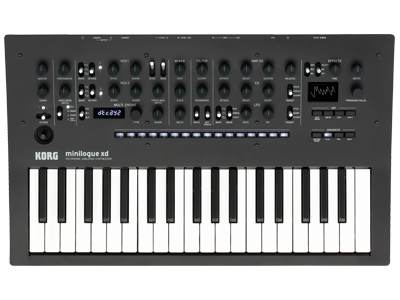 I am looking at adding to my collection and been eying off the Prologue at my local store, but I have heard the new Minilogue XD might be better? Has anyone played with the XD yet, and if so what is the feel like compared to the Prologue? Kidding? why should it be better? Analogue board is most likely the same (the filter is different), digital osc and fx are exactly the same, yeah you can have delay and reverb simultaneously. but 16 voices vs 4 voices, how 4 can sound better than 16 if you need 5 voices to play chord? Or layer sounds? Korg R3, EMX1, volca keys, minikp 2, electribe 2, prologue, karp oddy, dns 12, all ios apps. The Prologue seems to have been designed purely for players that want full size keyboard, and does feel very substantial and nice quality. The Minilogue XD has fewer voices than either Prologue, and a couple of things not there like sustain on the assignable EG, but practically speaking it should sound identical to Prologue. It is still nice quality, with steel shaft pots ringed to the chassis (no wiggles), but just doesnt have the heft that Prologue does. For me (mostly doing electronica) I personally find the XD a much superior machine as it has the microtonal sequencer with 4 tracks of parameter automation, and also 2 CV inputs so can create more detailed sounds when using external CV modulation sources. I guess it really depends on your purposes. I do both play live and sequence prologue. As a live player I need more voices and bi-timbrality is a very important not only for layered sounds or split, but I can assign different midi channels and run bass sequence while playing pads for example. I have no issues with sequencing either cause I just run it form Octatrack that has 4 extra lfos per midi track and can p-lock up to 10 parameters so i am not really impressed by the sequencer form XD. However for those who have no proper sequencer but still want to run sequences and mono-timbrality with lesser voices are not issues I believe minilogue XD is a good option. I know its part of the sequencing but the addition of motion sequencing is also a major creative bonus (even without sequencer notes can be used as modulation stepped or smoothed source), and the all new CV inputs. CV inputs allow the XD to be sequenced by typical CV/gate sequencers, or can use both CV inputs as modulation sources to any destination - ie can be an additional 2 LFOs, or envelopes, etc... For users like me that have CV equipment (even something like Korg SQ1) and/or eurorack this really allows the XD to be brought into the fold. One extra cv is also a good bonus, in fact I also have some eurorack stuff but I find it easier to adjust lfos from my octa rather cv expression port cause it is just much more intuitive with midi learn function. I am not quite sure whether it gives a lot to have 2 cv ports in terms of sequencing cause you vould have to use one for pitch control and second for triggering giving up extra lfos, midi sequencing makes more sense in this respect to me. In general I think I get your point that xd is a bit better equipped for sequencing and working with external gear right of the box. quick question: I’ve got a Radias. Do I need a Minilogue XD? i do not know whether you need it but I had radias and I have prologue that sounds much more superior. Thanks for the feedback everyone, I might wait until my local store has both and have a play and see which one feels / sounds best. My first Prologue was an 8 voice. What I then detected very soon, was that the nice splitting and layering functions work much better with the full 16 voices available. And if you seriously want to use the digital ascillators along with the analog ones, I think a four voice instrument would be a really poor choice (unless you only use extremely limited voicings all the time, and have no need for full polyphonic use). 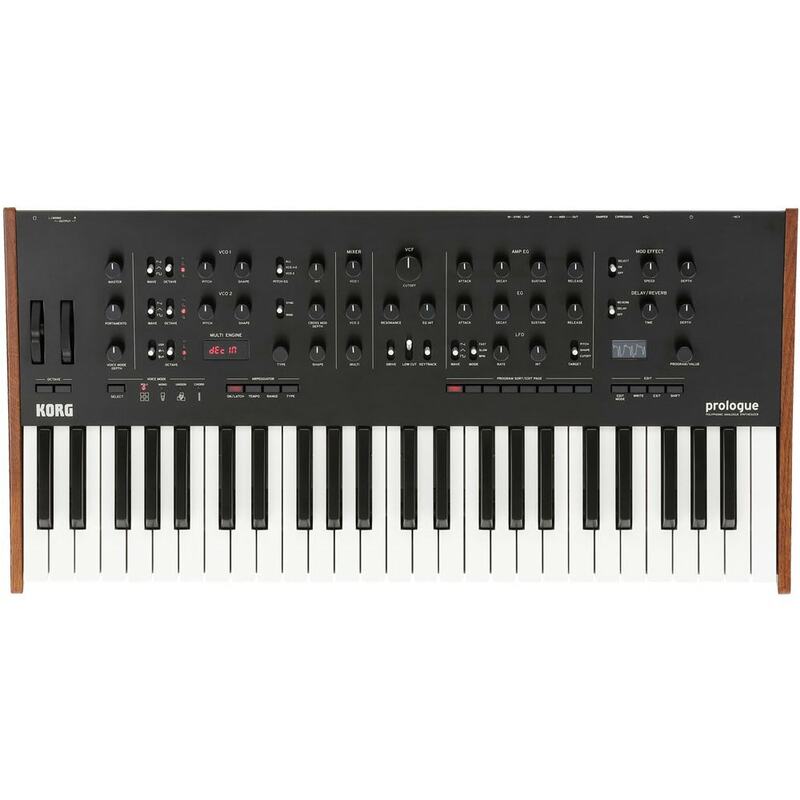 All in all I think Korg's decision to give the low price synth some remarkable pluses over their much more expensive "flagship" synth (like motion sequencer and a richer effect section) is an utterly poor company design decision. - on the Minilogue XD side with a to me completely unacceptable crippled EG, and too few voices to be able to enjoy the additional digital OSC enough. - and on the Prologue side it's even worse, with seriously (!!!) offering less effects and movement abilities (motion sequencer) to customers paying flagship prices. This way they achieve what has widely been nicknamed "a Roland" in recent times, for good reason: offering weird mixtures of benefits and utterly crappy shortcomings in funny board design decisions. Roland hoped to sell more units, because customers would have to buy lots of their gear to get all the goodies. In fact they lost many customers that way (I alone know enough, who left Roland behind altogether for exactly that reason). If the present Korg management is keen to annoy and alienate more customers the whack Roland way, this is definitely the way to go! Still, Radias has 4 LFO, 24 voices, motion sequencing, 4 part multitimbral, variable filter plus lots more that Prologue/Minilogue doesnt. Also IMO the Radias/R3/MicroKORG XL destroys MS2000/MicroKORG in fidelity. I don't think it makes much sense to compare the (of course!) bigger functionality of VAs with that of analogue synths. This point is clear from the start. Still, there must be a reason, why many musicians decide against higher functionality to prefer an anlog synth, even if with just one LFO, no? I certainly can answer that for my part: I couldn't care less for a Radias (which I DO regard as a nice VA), when I can use an analog synth like the Prophet 6 or the Prologue instead. That's because, for most purposes except a few, the basic sonic character of a synth is ten times more important to me than 4 LFOs could ever be. But that's a decision of personal preferences, and it's up to everyone to decide for themslves. Absolutely agree on that, radias is just a noisy infant comparing to prologue.